Speyside single malts like Glenlivet tend to be my favourites. Typically, they possess light, sweetish characteristics. Lunchtime whiskies. The older ones and those aged in sherry casks however are richer and more pronounced. Benromach is a tiny distillery from this region, which was once closed for a long time. Then it reopened in 1998. Nothing is automated at Benromach. It’s 100% hand-made single malts. 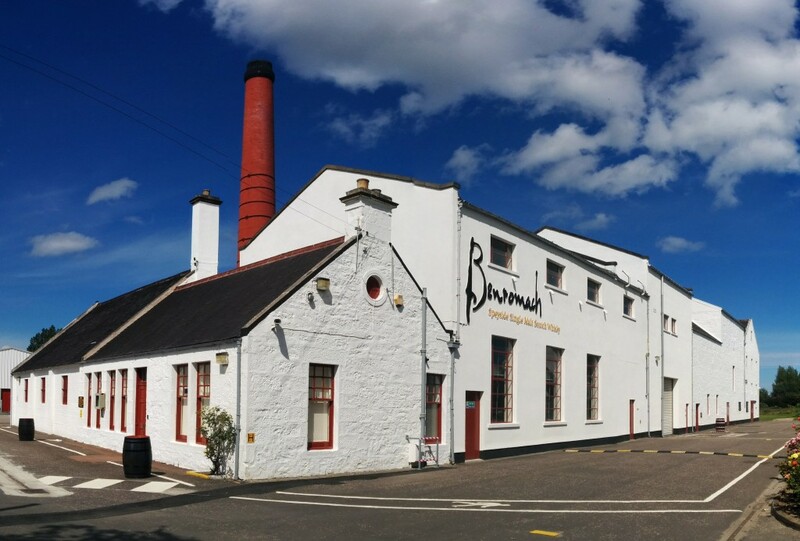 It’s the second smallest whisky distillery in Scotland. It’s such a small distillery that only a handful of guys run it. Speyside whiskies of past had small elements of smokiness in them. This feature is said to be the classic pre-1960s Speyside character. Before the mid 1960s, these distilleries malted their own barley. Hidden away in remote glens, they’d top up their fires with cuts of local peat when coal was running low. These slices were enough to impart a touch of smoke in the region’s whisky. Hmmm. I didn’t know that. I have always assumed Speyside whiskies traditionally have a light and non-smoky profile. However, the ‘Speyside smoke’ ain’t nowhere like the Islay one (in your face). The smokiness is very light, and not very noticeable. Met up with the Juliette Buchan of Benromach for an introductory session. 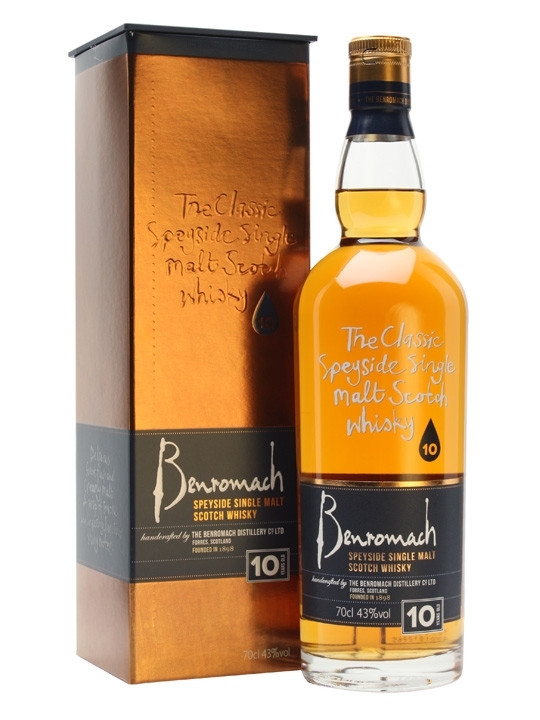 The Benromach 10 Years (43%) is a mix of aged whiskies with 80% from bourbon barrels, 20% from Sherry hogshead. Final year is spent in first-fill Oloroso casks. Its beautiful taste of sherry, fruit and vanilla gives way to a light pop of smoke, coming after that pleasant sweetness that Speysides are so sought for. Loved it. This is Benromach’s flagship expression. We also tried the 10 Year Old 100 proof (50% abv). Just as interesting, only stronger. The longer maturation of the 15 Year Old (43%) softens its smokiness to hints of charred smoke, while developing the wood-imbued character of honey, vanilla and fruit. Very pleasant, but richer. 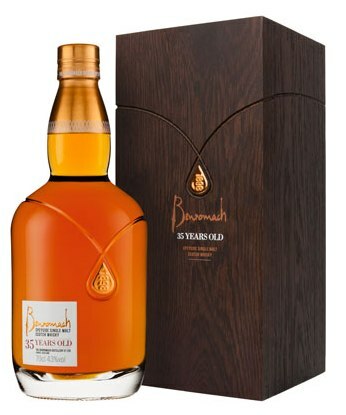 As a treat, we had some Benromach 35 Year Old (43%). This exquisite dram is a lot more complex after chillin for more than three decades in oak. It’s a sophisticated, delicate dram, with the right balance between fruity freshness and oaky maturity. 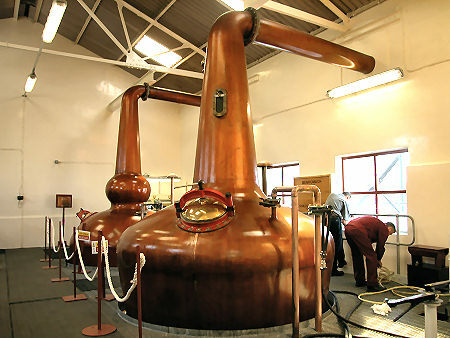 This tiny family-run distillery by the town of Forres produces some astounding stuff. Will plan to serve it at Locker & Loft, especially the 10. 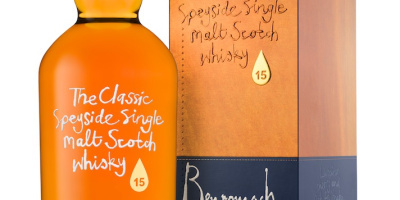 This entry was posted in ~ Booze news / new products ~, ~ Whisky ~ and tagged Benromach Single Malt, Kuala Lumpur, new product, Scotch, Single and Available, tasting by Deep. Bookmark the permalink.